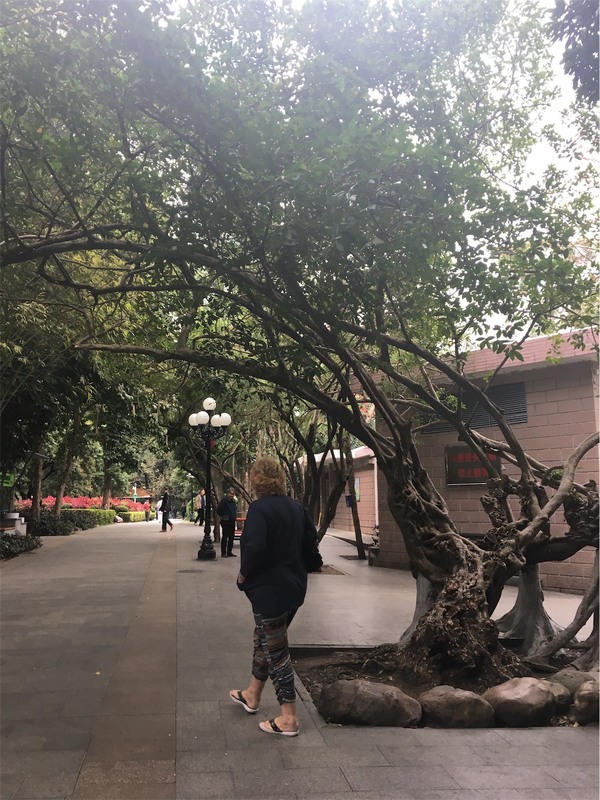 Historically Shenzhen was a market town with a population of just 30,000 people. 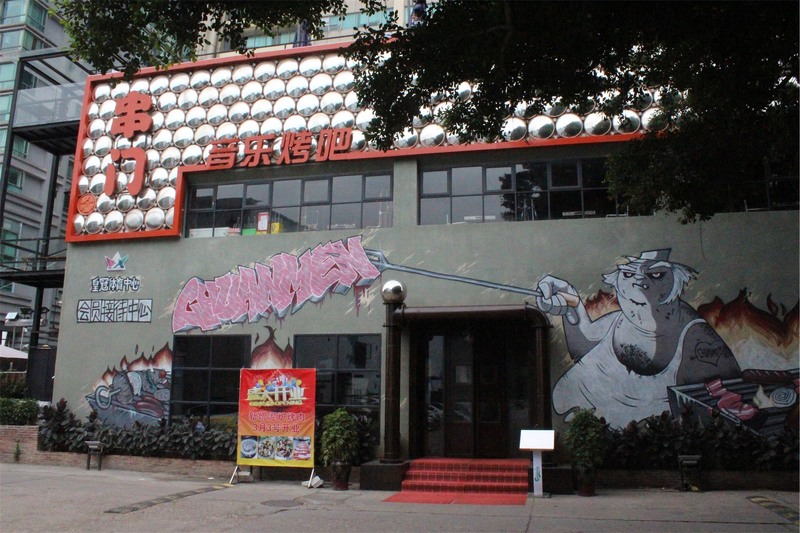 In 1979 Shenzhen was assigned as China’s first Special Economic Zone. 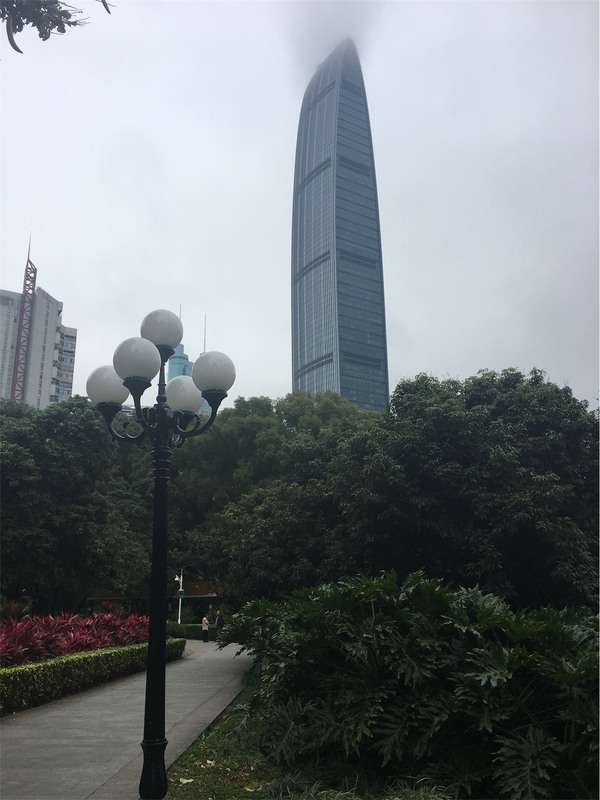 It was developed rapidly and in only 38 years the population estimate of Shenzhen grew to 18 million people. 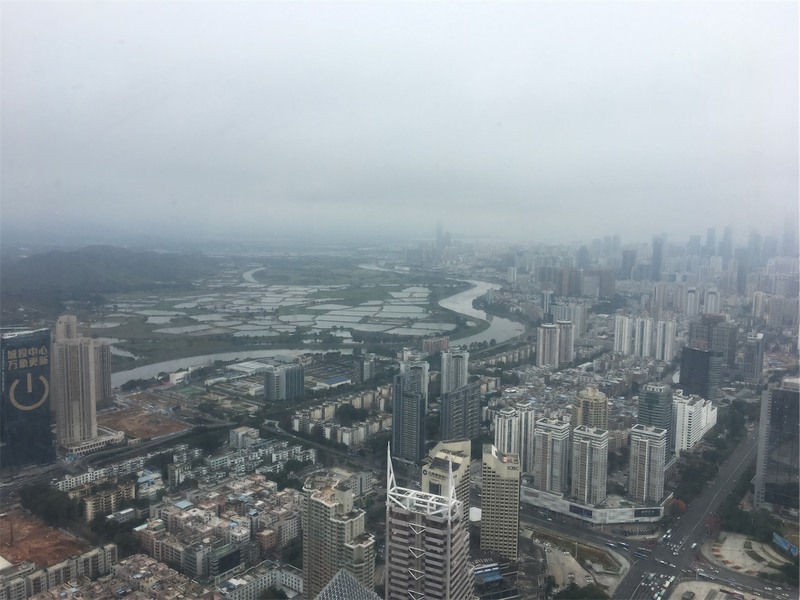 Shenzhen is now one of the five largest and wealthiest cities of China. We decided to explore this fast growing city and joined an organised day tour. 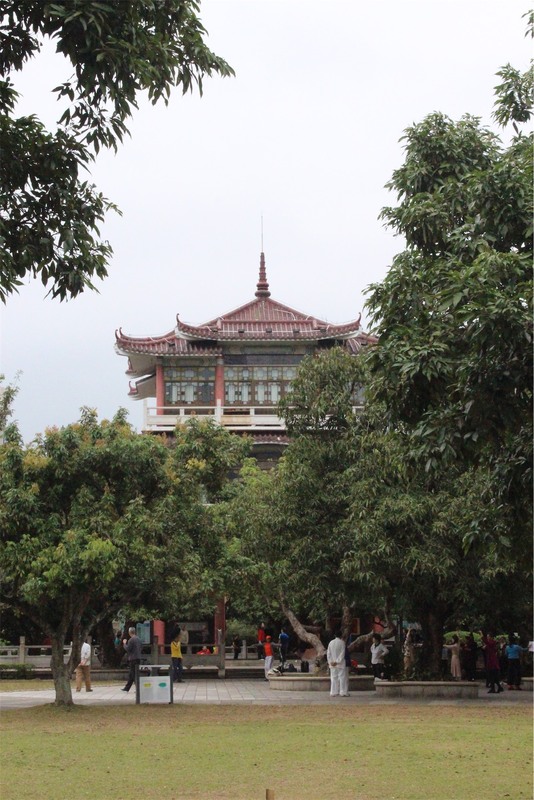 One of the benefits of joining a tour is that they sorted out our visas to enter into Mainland China. 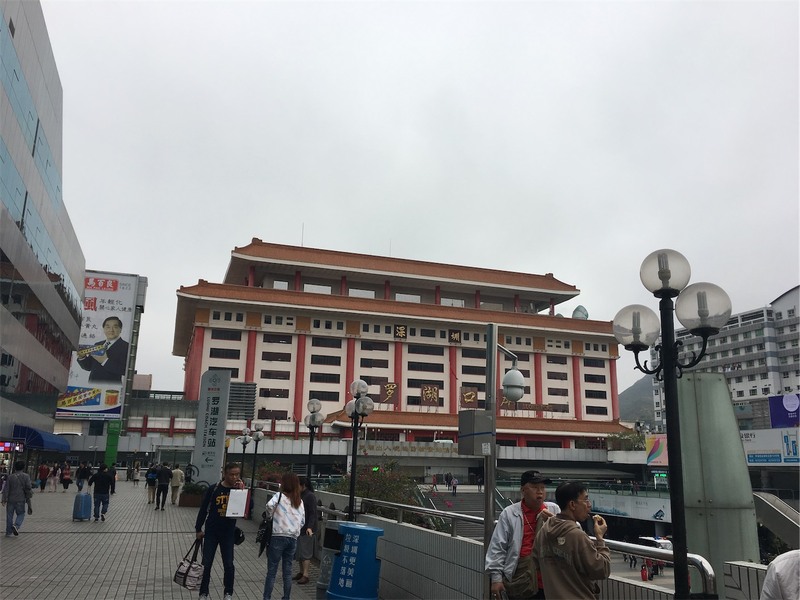 Our journey started at Hung Hom Station on the Kowloon side of Hong Kong where we boarded our train. We were told the likelihood of getting a seat for the hour-long journey was more ‘probable’ in First Class. Tickets in these carriages are a bit more expensive but to be honest it wasn’t anything amazing. 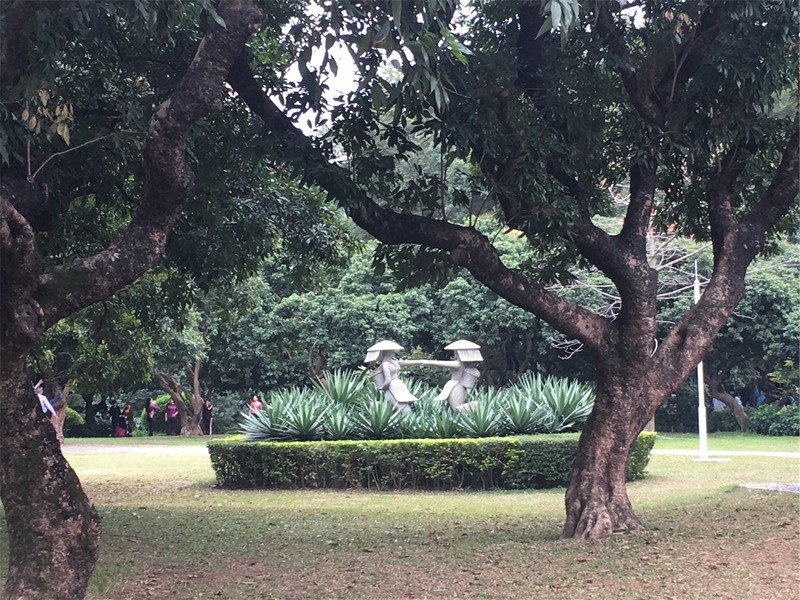 After an interesting trip through the New Territories we arrived at Lo Wu Station. Lo Wu is the Northern Terminus of the East Rail Line, serving as a primary checkpoint for rail passengers between Hong Kong and mainland China. 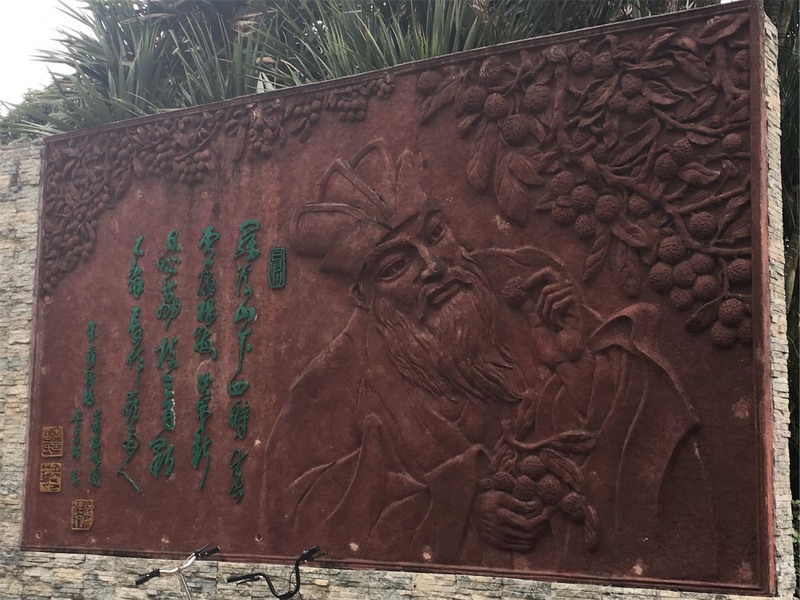 Our first stop was Litchi (or Lychee) Park. It was absolutely beautiful and really quite large (apparently around 29 hectares!) 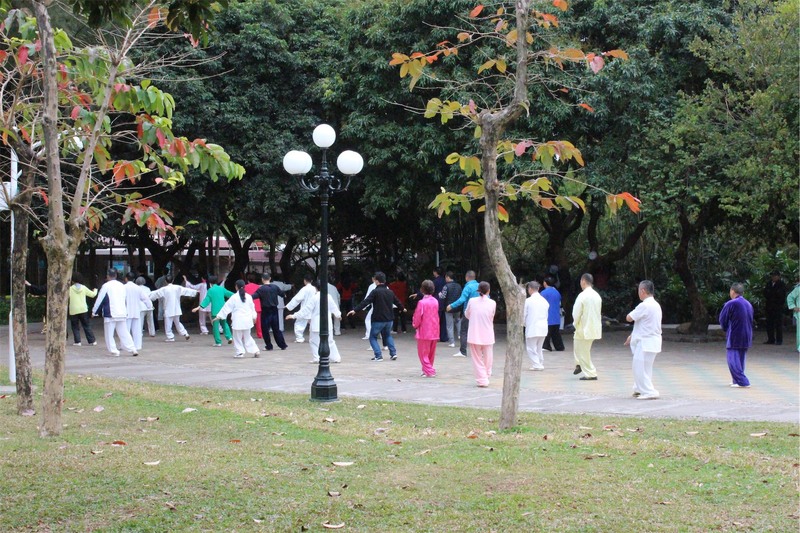 It was great to see so many people out exercising and participating in Tai Chi. 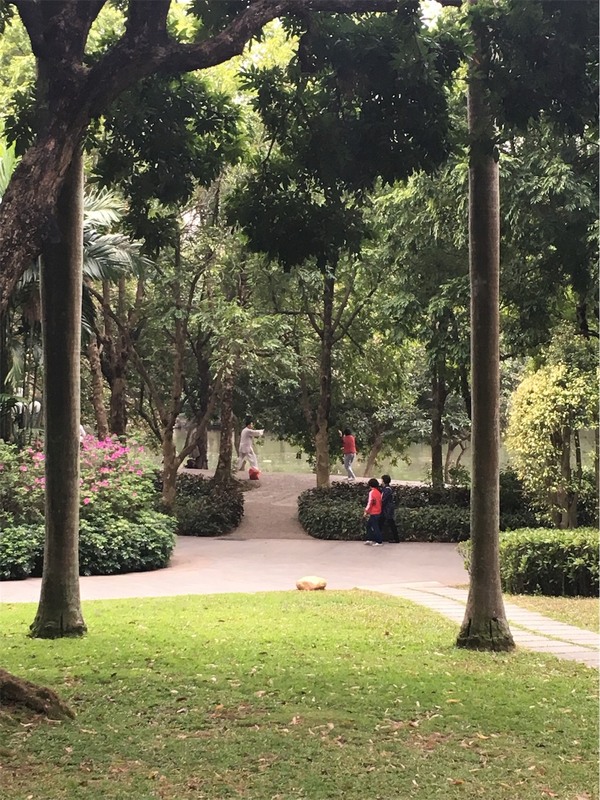 From the park, we made our way to the Shenzhen Meridian View Centre. It’s located on the 69th floor of the Diwang Building and the views are incredible. The Sham Chun River (aka Shenzhen River) serves as the natural border between Hong Kong and Mainland China and can be seen clearly in the picture below. 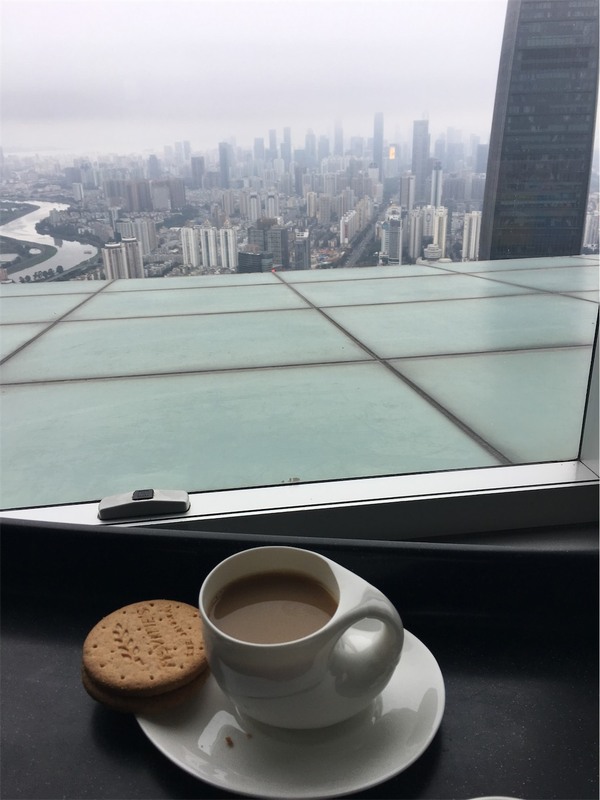 After enjoying a cup of tea our next stop was the Kuang Yi Cultural Exhibition Centre where we were only allowed to take photos in the foyer. 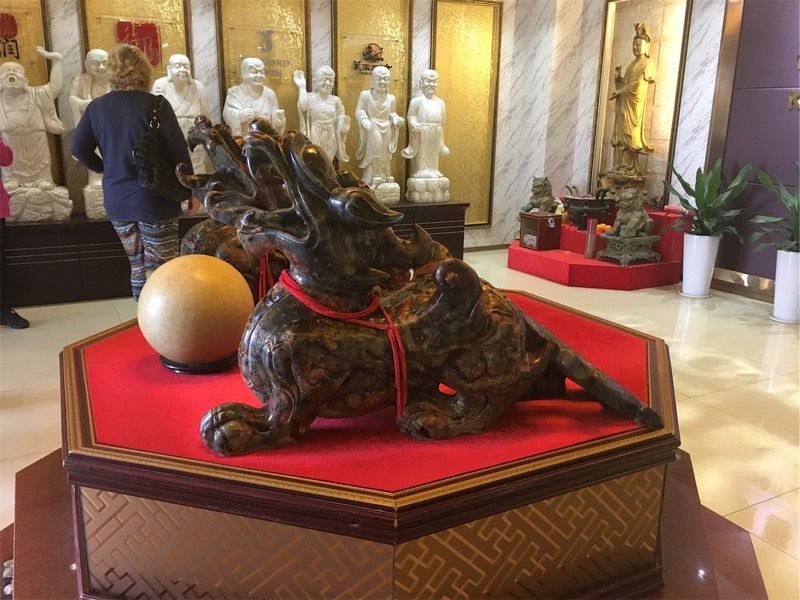 The Centre had loads of historical artefacts including a terracotta warrior and his horse as well as lots and lots of jade. We saw some interesting street art along the way to the restaurant where we were having lunch. 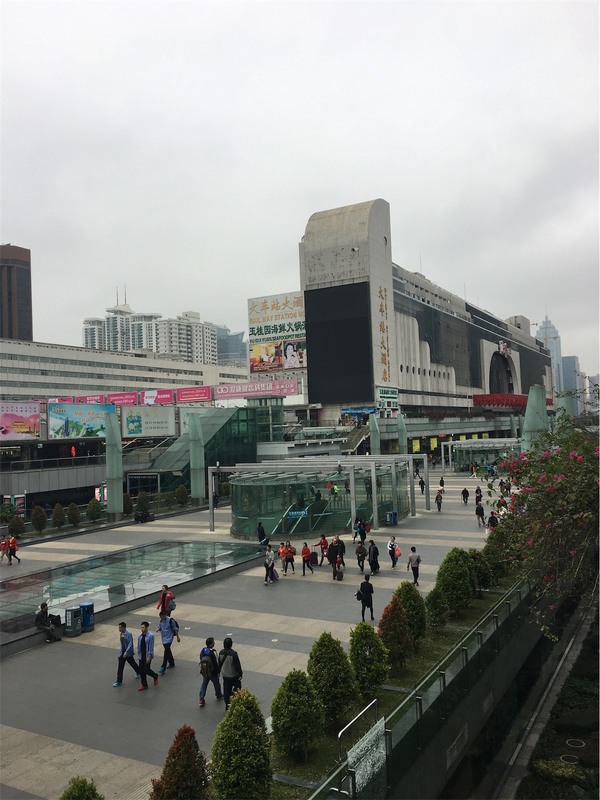 The rest of our afternoon was spent at the Luohu Commercial City, commonly known as Lo Wu Shopping Centre. 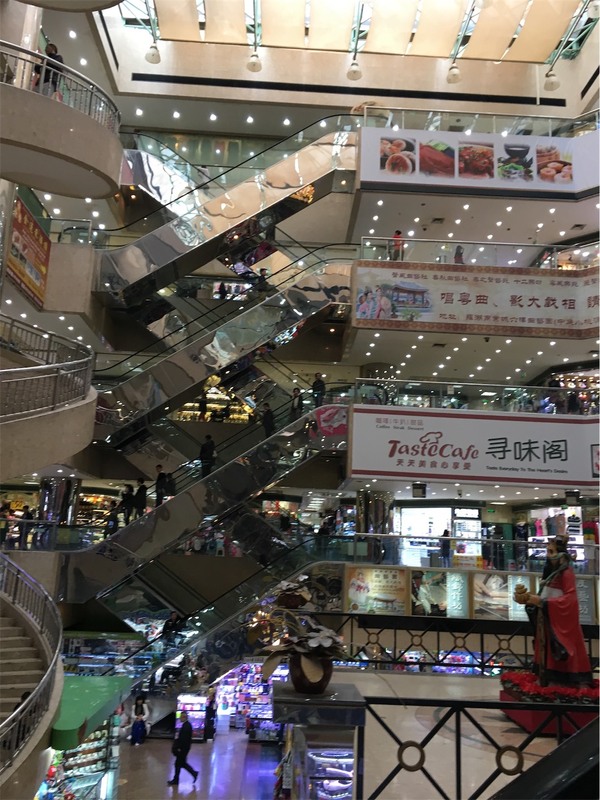 This place is huge – five stories high with over 200 shops per floor. It’s a shoppers paradise with loads of replica items that are of a high standard but still not genuine. There are plenty of tailors that will re-create shoes and clothing or those that will attempt an original if you have a design and the ability to return in a couple of days… if you’re game. 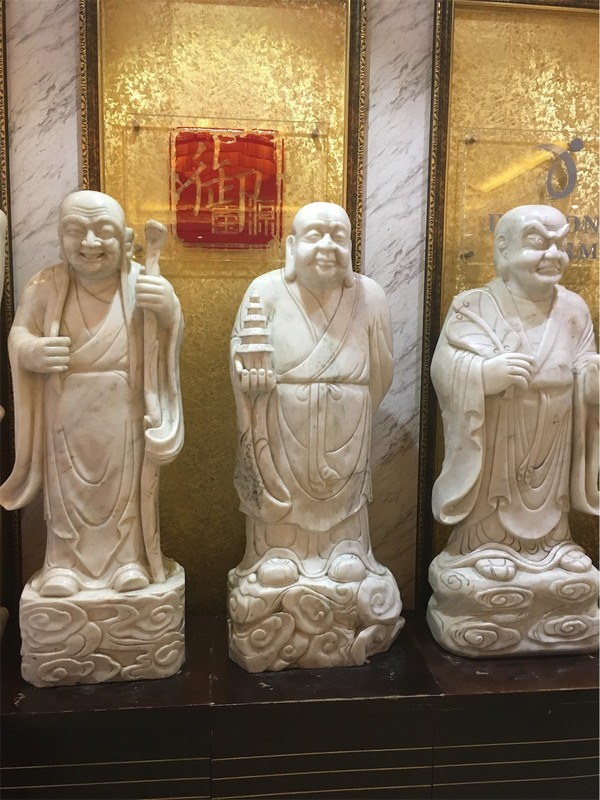 We enjoyed our trip to Shenzhen and would love to return to explore more of this amazing city.